New York: Grove Press, 2003. First U.S. edition; translated by Richard Howard; 178pp. By the noted French Author. . First U.S. Edition. Hard Cover. Near Fine/Near Fine. Lincoln, Nebraska: University of Nebraska Press, 1989. Interviews with Mr. Momaday; black & white illustrations; signed on the title page by the subject; 229pp.. Signed. First Edition. Hard Cover. Fine/Fine. Illus. by MOMADAY, N. Scott. Port Townsend, Wa. 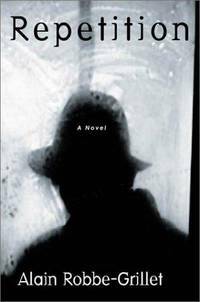 : Copper Canyon Press, 2001. Signed and inscribed by the author on the title page; 135pp. A book of poetry by the prolific poet and author. . Inscribed and Signed By Author. First Edition. Hard Cover. Near Fine/Near Fine. New York, New York, U.S.A.: Doubleday, 1976. A completely closed (3/4") tear to the bottom of rear panel of the dust jacket. A tight, clean copy of this, the author's first novel. A bit difficult to locate in this protected condition due to the spartan materials the publisher used back in the seventies. . First Edition. Hard Cover. Fine/Near Fine. Calcutta: Writers Workshop, 1981. Previous owner's neat small stamp on ffep. Two inch mark on title page. Bound in orange decorative cloth, stamped in gold. Preceeded by a signed, limited edition of 150. This is the first "Flexiback" edition of Seth's first book in glassine dustwrapper with the scarce wraparound band still in place. Actually scarcer than the signed, limited edition. Laid in is an ALS from the publisher, P. Lal. 72 pp. . First Edition. Hard Cover. Near Fine/VG++. 8vo. NY: Norton, 1997. 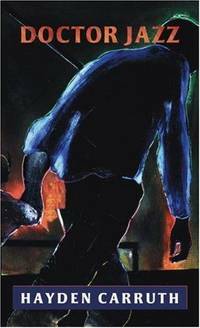 The first edition of the author's first book that went on to win the Pen/Faulkner Award. First printing limited to 5000 copies in hardcover. Mr. Zabor is a jazz drummer, so d.w. blurb by Pat Metheny (as well as Josef Skvorecky). Beautiful copy!. First Edition. Hard Cover. Fine/Fine. Boston: James R. Osgood & Co., 1875. Book shows a bit of scuffing to extremes. Front and rear hinge have been professionally repaired (early) at the fly leafs. This is the first binding with "James R. Osgood" imprint on the base of the spine. Bound in the purple stamped in gold. One of 1510 copies in the first edition. Housed in a custom made black cloth clamshell box with the title, particulars in gilt on the spine of the box. Ref. : BAL 10529.. First Edition / First Binding. Hard Cover. Very Good ++/No Jacket. NY: Morrow, 1980. The scarce first edition of the author's first regularly-published book (preceeded by a Chapbook). This book of poetry won the Walt Whitman award in the year of publication.. First Edition. Hard Cover. Near Fine/Near Fine. NY: Farrar Straus and Cudahy, 1957. Dustwrapper is bright but shows a bit of light scuffing to top spine end and one closed tear. The first state dustwrapper with reviews of "The Natural" on the back panel. Front endpaper professionally restored. 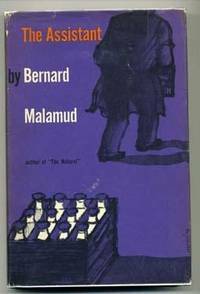 Overall, a tight clean copy of the first edition of Malamud's second book in an above-average dust jacket. . First Edition. Hard Cover. Very Near Fine/VG++ Price-Clipped. NY: Dial, 1981. The dust jacket shows slight scuffing to extremes. Book is tight and clean. A nice, collectible copy of Bausch's somewhat scarce second book.. First Edition. Hard Cover. VG+/VG+. Boston: Little, Brown, 1981. This is the first trade edition of this, preceeded by a ltd. ed. of 350. Nine page foreword by John Fowles. . First Trade. Hard Cover. Near Fine/Near Fine. NY: Random House, 1934. Housed in a Near Fine dustwrapper that shows one completely closed 1 1/2" tear to back panel and two small dark spots (top edge-back panel). Bright, clean 1st ed. 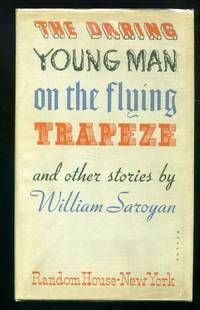 of Saroyan's first book. With 3" X 5" signed card laid in. Endpapers professionally restored. Five-digit # on title page. Difficult to find in this protected condition. . Author-Signed Card Laid In. First Edition. Hard Cover. Near Fine/Near Fine. NY: Knopf, 1991. A tight, clean copy in bright dust jacket of this, the first edition of this Pulitzer Prize winning novel that went on to be a successful movie in 1998. 371 pp. . First Edition. Hard Cover. Near Fine/Near Fine.